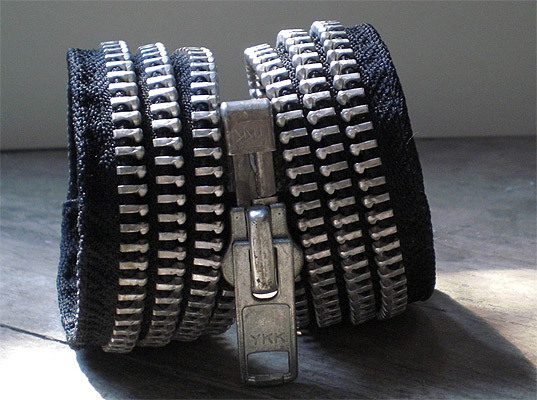 For the average person, a zipper equals closure. And even though exposed fasteners are decidedly on-trend, they still serve a utilitarian function. For Montreal-born, Brooklyn-based designer Tara St. James, however, zippers not only have a decorative side, but they’re also part of her master plan to keep waste out of the landfill. A self-proclaimed pack rat and devoted upcycler, St. James holds on to every last fabric scrap from producing her burgeoning clothing collection, Study. She prefers to keep the clutter in her apartment, rather than the environment, since the remnants often inspire new pieces. A self-proclaimed pack rat, St. James prefers to keep the clutter in her apartment, rather than the environment. In this case, inspiration hit when St. James learned that her longtime zipper supplier was throwing away the leftover pieces from her collection. Her inner hoarder sprung into action and soon enough, a collection of delectable zipper jewels was born. And these aren’t just your usual crafty leftovers, either—each stunning piece is a thoughtfully crafted, masterful work of art. 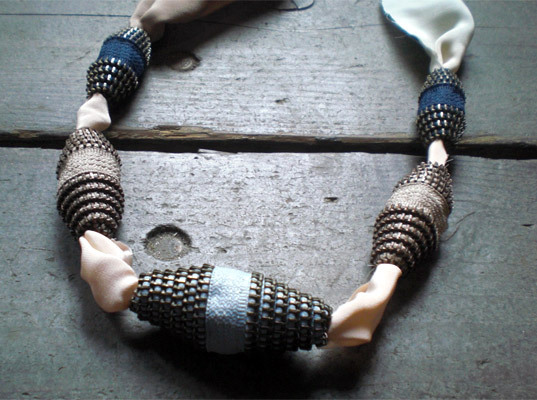 In the designer’s favorite piece, the Mix and Match 5 Zipper and Silk Necklace, the zippers are coiled into beads and strung along a ribbon of remnant silk from her collection. 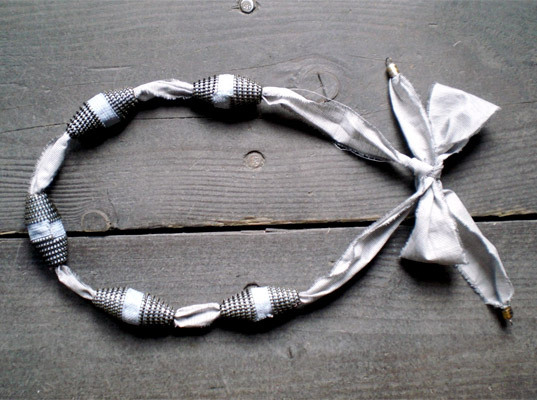 Each stunning piece is a thoughtfully crafted, masterful work of art. Even though St. James’ greatest challenge as a sustainable designer is resisting shiny new materials, you would never guess that anything was missing from her pieces. They are, in fact, remarkably luxe, and, if you would forgive the pun, quite fasten-ating. For the average person, a zipper equals closure. And even though exposed fasteners are decidedly on-trend, they still serve a utilitarian function.� For Montreal-born, Brooklyn-based designer Tara St. James, however, zippers not only have a decorative side, but they're also part of her master plan to keep waste out of the landfill.